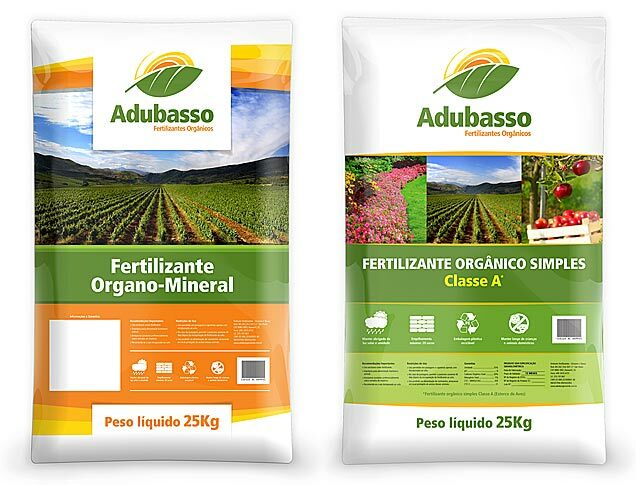 Our client produced fertilizers for different uses and application. We were hired to create the whole brand design, from the name to the logotype and packaging. Naturally, we starded with the name. It should be self-explanatory while also able to maximize the product´s power. Through a name creation process or naming we got to Adubasso. In portuguese, the suffix “asso” or “aço” represents greatness and superlative quality. A good name shoud be short, easy to remember and pronounce, and without negative meanings. 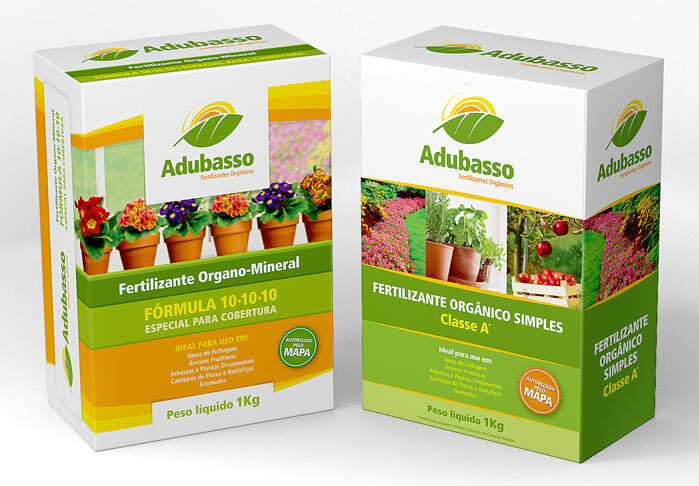 Name defined, we created logotype and packaging line design for the fertilizers. They would be sold in 25kg packages for small rural producers and 1kg boxes for domestic use. Be aware of the relevance of the choosen colors: white conveys clarity, green reminds plants and orange warms things up. The results went beyond the attratctive and best-selling aesthetic. 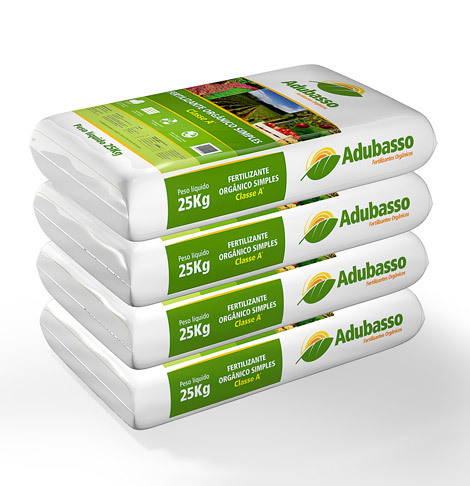 We created fertilizer packaging design for ADUBASSO that allowed product protection, easy stacking and handling and adequate display in points of sale. Another important point of the layout is the text formatting. Clear and consistent, the information disposition enables good legibility and optimizes consumer/brand relationchip.